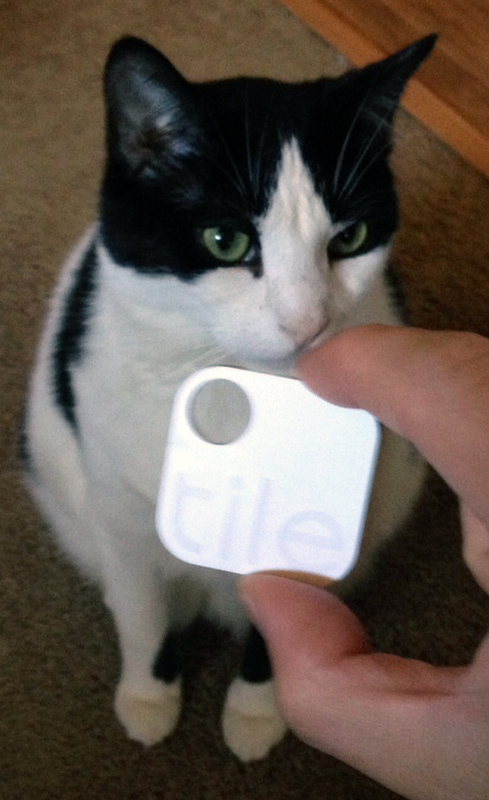 About a year ago, I pre-ordered a product called “Tile.” Tile is a little white square that you can attach to objects that you don’t want to lose. If you do happen to lose the object, say for example your keys, you can open the corresponding iOS app and it will make the Tile ring. Set up is pretty straightforward. You install the app on your iOS device, press the “e” on the Tile and the app will walk you through step-by-step. When you’re looking for whatever Tile is attached to, you can look at it’s location on a map in the Tile app and have it make the Tile start ringing as you track it down. To test it, my wife hid the Tile somewhere in the house and using the app, I had to find it. It took me about a minute to locate it as it was ringing. It was in my daughter’s stuffed animal basket, by the way. I haven’t done any long-range tests with it yet though, to see how well it tracks it on the map. Personally, I keep mine in my wallet in case I misplace it throughout the house. I haven’t adhered it to anything yet because I like the freedom of being able to attach it to multiple objects. Plus, working from home, I don’t have too many chances to lose my stuff. It’s still a nice piece of mind to have, though. Order your Tile here.